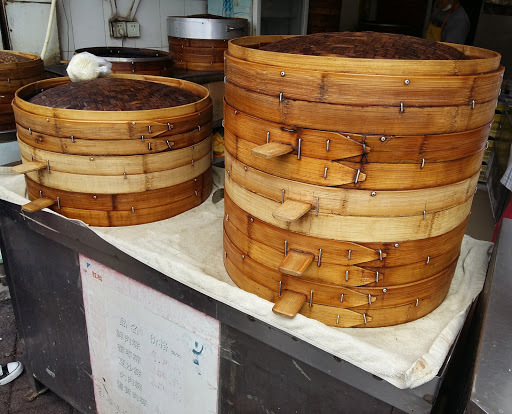 On a beautiful Saturday morning we got up early (well, vacation early – we were out the door at 9 AM) and headed out for some dumplings (bao) for breakfast and a massive day of walking around Shanghai doing some sightseeing. 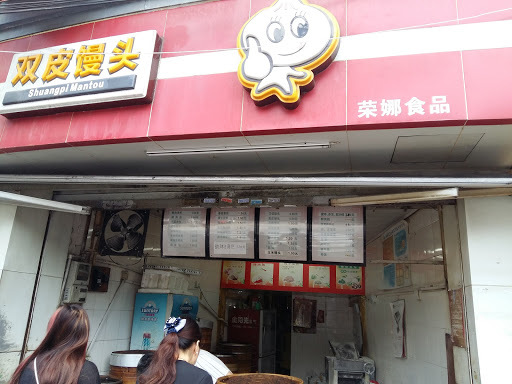 The street we took leading to People’s Park was lined with little spots to grab dumplings en route. 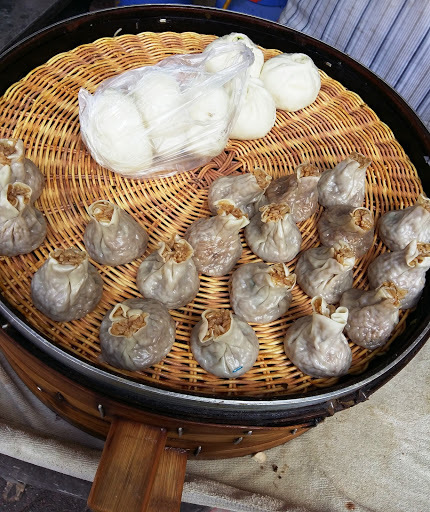 Each dumpling was 1.5 RMB ($0.32 Canadian!). 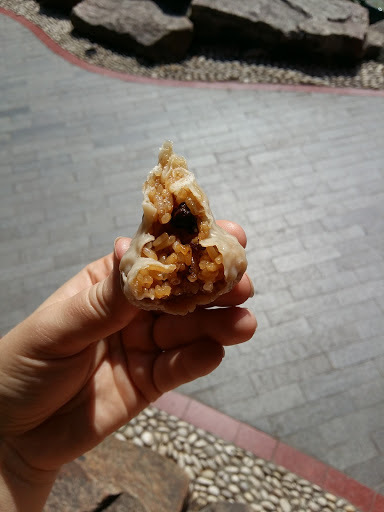 We tried a bao with rice and mystery meat that was savoury and delicious, but the real treat was the pork bao. The sauce was salty and rich with a couple of long, flat noodles included. We were in heaven! Brian found a Durian – it didn’t smell that bad! Once we reached Nanjing Rd. 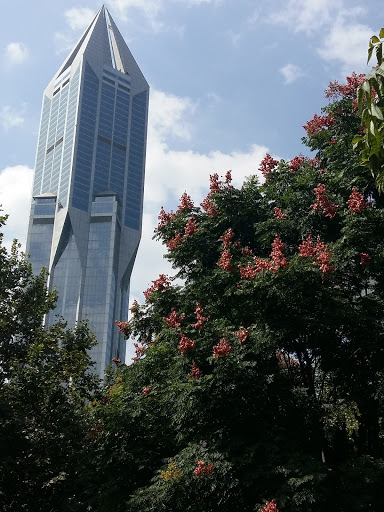 we headed into the park (South of Nanjing Rd which is a giant shopping street, and North of People’s Square). There were tons of umbrellas lining the gardens in the park – evidently from parents trying to set up their sons and daughters for marriage! The Shanghai marriage market in People’s Park has existed since 2004, in which marriage advertisement listings are publicly posted each weekend. 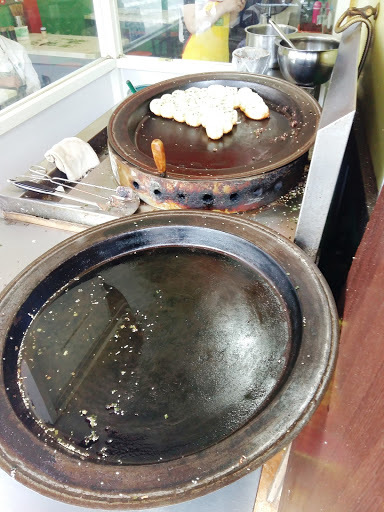 We found a little area to stop, sit, and eat our dumplings. 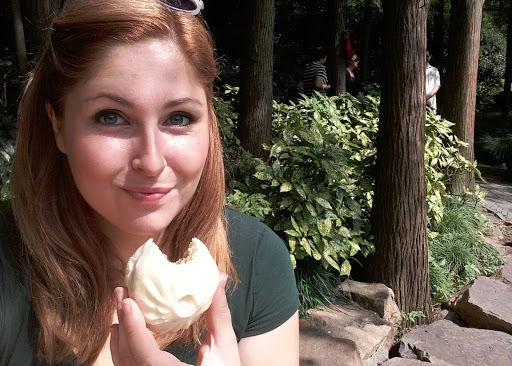 After telling my friends Shanghai would be a dumpling tour for me I was pretty happy to start right away! YUM! We continued through the park. 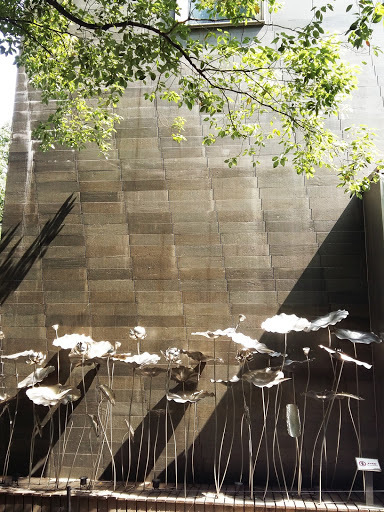 I was particularly pleased with the modern architecture in the backdrop of all of this nature. 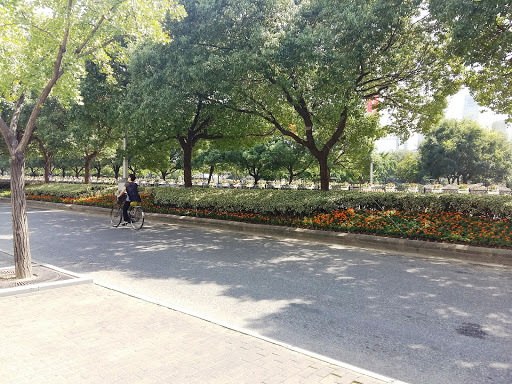 Shanghai is a really clean, walk-able city. All we had was a paper map (I had no access to Google since China blocks so many sites), a pen, and the giant street signs in both Chinese and English. It was really easy to navigate. You’ll notice a theme in the photos from Day 1 – Brian is kind of a monkey – he wanted to climb everything! This is the former Shanghai Race Club Building. 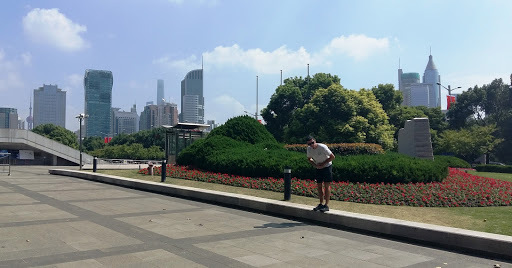 The park is built on the grounds of the former Shanghai Race Club, which was established by the British in 1862. It was the leading horse racing track in East Asia, and a popular place for the Chinese and the British for gambling on horse racing. 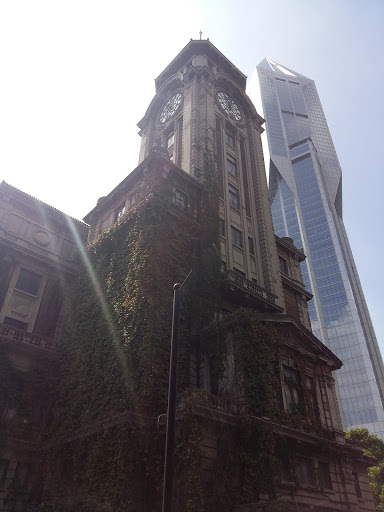 The club building, built in 1933, became a landmark in downtown Shanghai. The club’s flagpole was considered a great shame for the Chinese, as it was made from the mast of a Chinese warship captured by British and American troops. When the People’s Republic of China was founded on 1 October 1949, the new Chinese national flag was hung from the pole. The new Communist government banned horse racing and gambling, and converted the racecourse into People’s Park (the northern half) and People’s Square (the southern half) in 1952. Due to its location in the city’s center, it became the main spot for political rallies and demonstrations in Shanghai. In the winter of 1986–87, the park was the focus of major student protests. Tens of thousands of protesters gathered in the park, and marched to The Bund. They were met by Jiang Zemin, then Communist Party Chief of Shanghai, and demanded democracy and radical political changes. More than two years later, during the Tiananmen Square protests of 1989, tens of thousands of people again gathered in the park and The Bund in a display of solidarity with the protesters in Beijing. In the 1990s, major changes were made to the area. 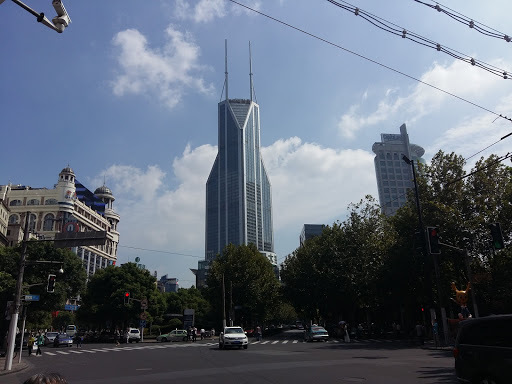 The Shanghai Municipal Government was moved to just south of the park from theformer HSBC Building on The Bund. 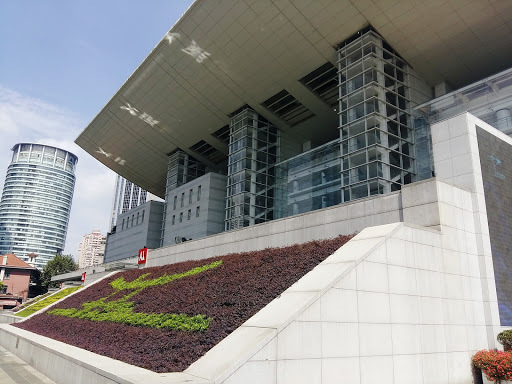 Other additions include the Shanghai Museum, the Shanghai Grand Theatre and the Shanghai Urban Planning Exhibition Hall, also south of the park. 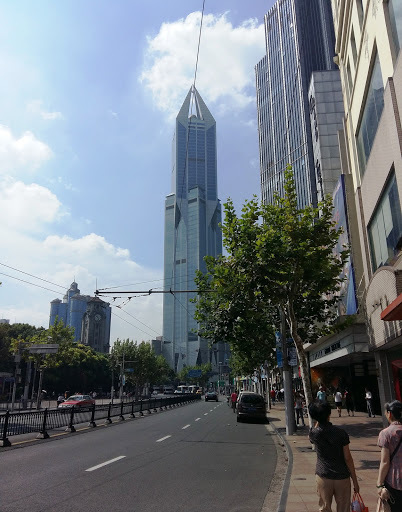 The streets of Shanghai are really beautiful! I had a chance to walk alone on day 2 and took a ton of photos of residential areas. On Saturday afternoon (Day 1) we checked out the City of God Temple, Yu Yuan (“Yuan” means Gardens), and The Bund. I’ll be posting all about it soon!